Club Members Runs and Activities - Non Members, please come along and try us out! Monday Night is Track Night (No Sessions on Bank Holiday Mondays!) Every Wednesday night is Club Run Night (10k'sh, often with shorter options). We participate and support the Saturday morning 5k parkruns. Sunday Social runs of 10 miles approx at 10am. Non Members - Please come along and try us out. This group will be led and managed by Jo Wood & Marc Akers. The format is based on increasing from 7km to 10km with a phased progression of 1km per week starting with 7km on 13th February 2019. This group is suitable for new runners, or those returning after injury, who are striving to gradually build up their stamina at a slower pace. If you get to the end of the cycle you should be capable of joining the main 10km route but you'll have the option to start back at the beginning of the new cycle and build up again from 5km if that suits your running needs better. 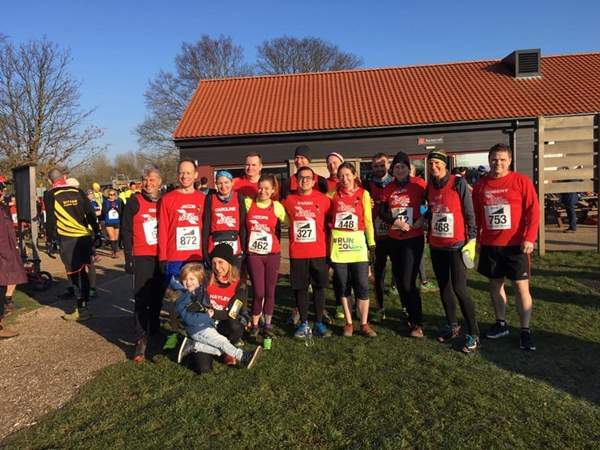 FREE timed 5k runs/races starting at 9am at Wanstead Flats (Harrow Road), Valentines Park Ilford, Beckton, Barking, Hackney, Walthamstow and Mile End and at many other locations across London and the UK and abroad. 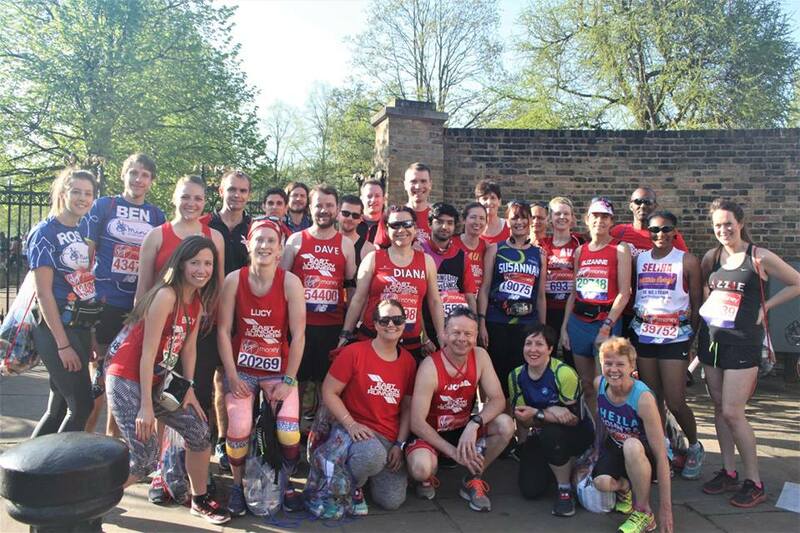 At 10am meet Alexandra and others at Walthamstow Empire for a 8 mile'sh Social run finishing at Alexandra Palace (for a lovely coffee). Return by train/tube. Those who want a longer run could run back to Finsbury Park like we did last year as there are tube and train stations on the way! Take care when crossing roads and be aware of other pavement and park users. Please note our policy of no headphones to be worn during club runs. Club runners must wear 'hi viz' or light colour clothing for health and safety. Turn right out of Wanstead Leisure Centre and under the subway at Redbridge roundabout. Bear left under subway and exit onto the A12. Follow road to the River Roding and then turn right onto the tow path (with the river on the right hand side). At end of path, turn right into Woodford Avenue and follow road to subway. Cross road using subway, turn right and continue to traffic light junction. Turn left into Clayhall Avenue to top of hill and then cross over to right hand side of road. Straight ahead at roundabout into Freemantle Road and then turn right into Barkingside High Street, leading into Cranbrook Road. Follow road to Gants Hill roundabout and cross under the subway, then take the exit on the right hand side onto the A12. Continue down to Redbridge roundabout and return to Wanstead Leisure Centre via the subway. Turn right out of Wanstead Leisure Centre and under the subway at Redbridge roundabout. Bear left under subway and exit onto the A12. Follow road to the River Roding and then turn right onto the tow path (with the river on the tight hand side). At end of path, turn right into Woodford Avenue and proceed up the hill to the roundabout. Turn right into Redbridge Lane East, follow road back down to Redbridge roundabout and return to Wanstead Leisure Centre via the subway. NOTE - Runners in all Gruops are asked to familiarise themselves with the route each week. Full details and route maps are posted below and on the East London Runners Group page on Facebook each Sunday in good time for the Wednesday run. 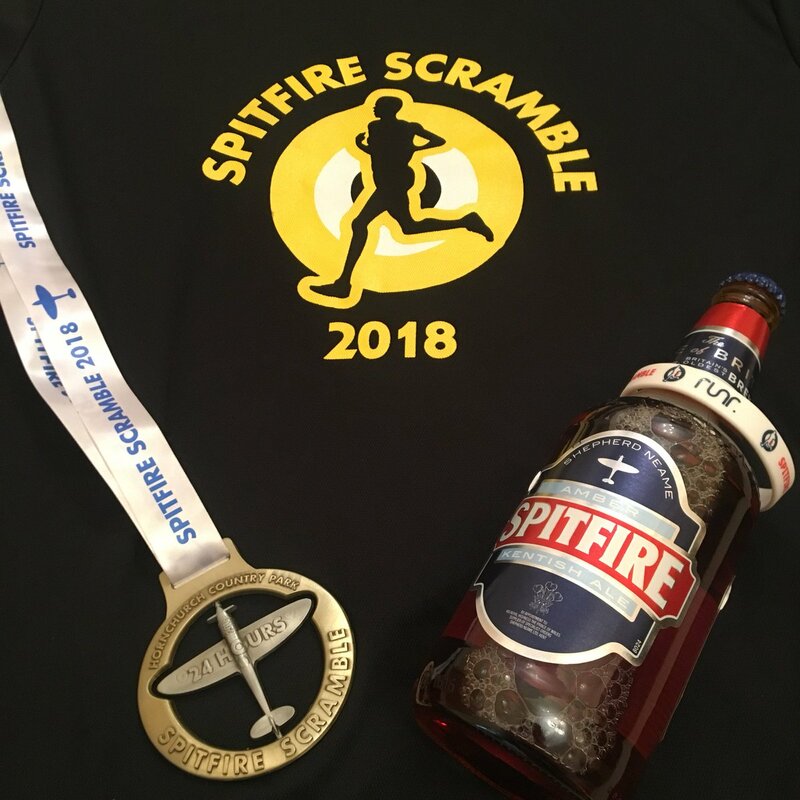 Nathaniel Dye is planning a night run in preparation for the Spitfire Scramble. He was not expecting company but we are a dozen now at least. Course info - His usual 10 mile'ish route, but subject to change if bored! Required kit: suitable food, hydration pack, rain jacket and a head torch. If any interest, He can provide food to grab at pit stops. If enough people can be convinced, He'll investigate getting some medals made too! 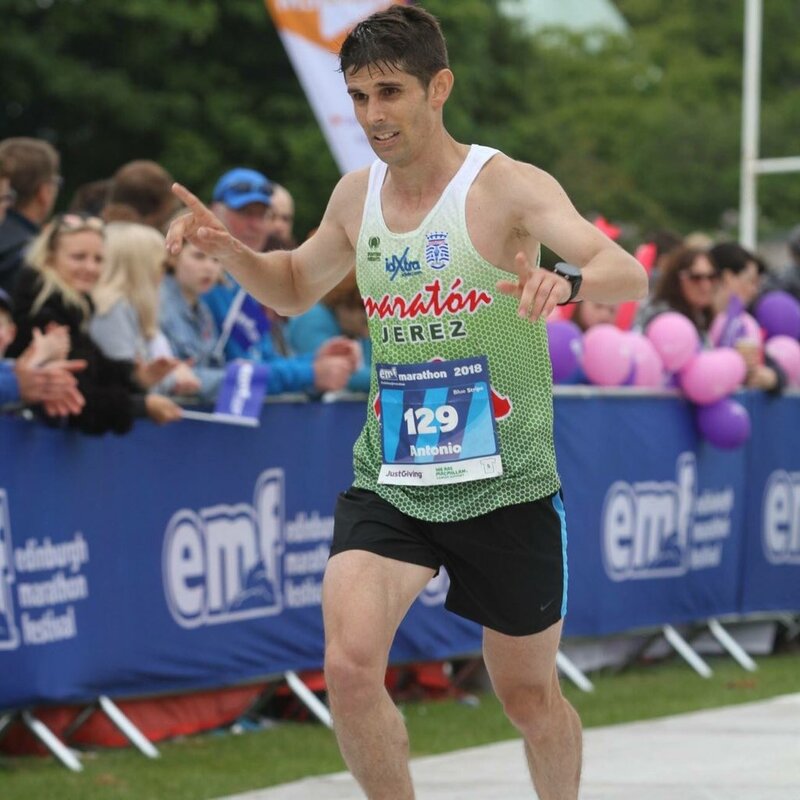 Congratulations to Antonio Martin Romero smashing a new ELR club record of 2:27:26 at today's Manchester Marathon - Felicidades Antonio! Antonio reports:Last test before the Manchester Marathon today in Reading. I wasn't expecting to get a PB today, firstly because the course has several inclines and twisty turns and secondly because of the high mileage and workouts I have doing this week and in the previous one. The wind seemed fine at the beginning of the race, but in some areas I was struggling to run fast as I was running most of time on my own, overtaking runners, and the wind slowed me down from mile 7 to 9, and then I managed to do the last 5k in around 16:25 to finish with a time of 1h11'34". Three weeks to go until thr Manchester Marathon! Team Prize Winners: East London Runners: Paul Quinton, Spencer Evans & Caroline Frith. 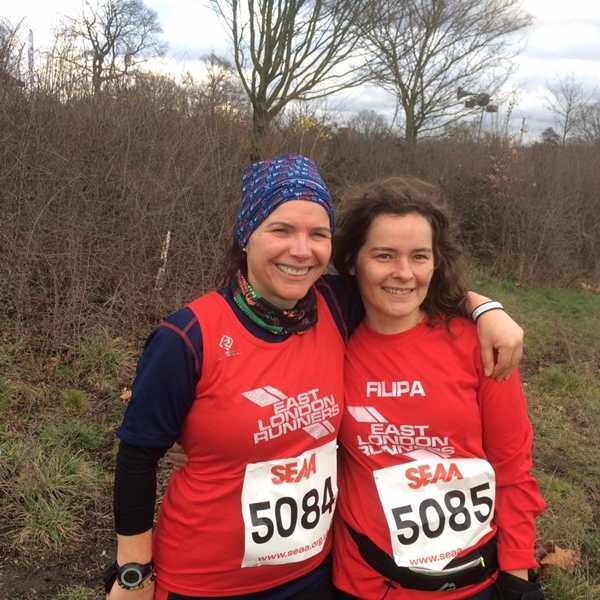 Caroline reports: Roding Valley Half Marathon number 8. I first ran it in 2007 so I haven't managed every year but I do feel a strange compulsion drawing me back over and over again. The course doesn't get any more picturesque, the hills dont get easier, the medal and goodie bag arent much to write home about.....and today my chip didnt even work so my official time is actually my garmin time. So why do I go back year after year? Because I like supporting a local club in their efforts to put on a race which is friendly, relatively inexpensive and close to home. Admittedly I used to train with WGEL - over 10 years ago - so I do feel an affiliation but I think it would be a shame if small races like this die a death as more and more events like the Big Half draw people in. Today's field was the smallest I have ever seen it, partly I suspect due to the weather and Essex 20, but also because people are drawn to big, commercial races instead. It was lovely to see so many ELR today, lets have even more next year. Conditions under foot were pretty begign, and the course had a few climbs but nothing too scary. Nigel was cheering me on and later tweeted a pic of me. I also got lapped by Steph Twell and nearly put my spikes through a toad. At the Meeting the Following Committee was elected by the Members present. John Atkinson, Frank Brownlie, Dave Foster and Dave Knight. The Meeting also agreed the Membership Fees for the coming year 1st April 2019 to 31st March 2020. Existing Members - Fee to remain at £22.00 which includes the England Athletics Membership fee (£15.00) for the same period. New Members - Fee to remain at £25.00 which includes the England Athletics Membership fee (£15.00) for the same period. 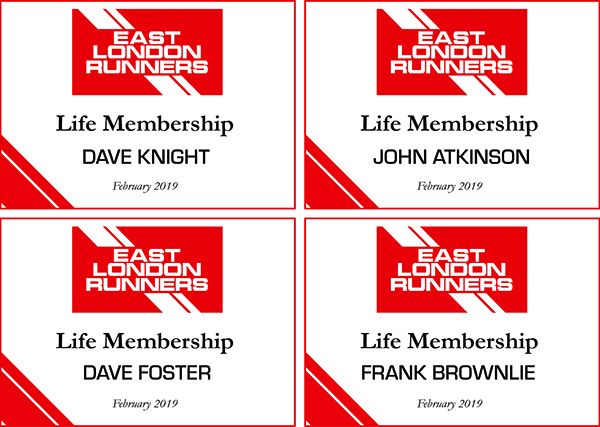 Lapsed ELR Members - The Fee will be £25.00 which includes the England Athletics Membership fee (£15.00) for the same period. At the meeting following a proposal by the Committee which was carried unanimously by the members present, John Atkinson, Dave Foster and Dave Knight were duly elected as Life Members. 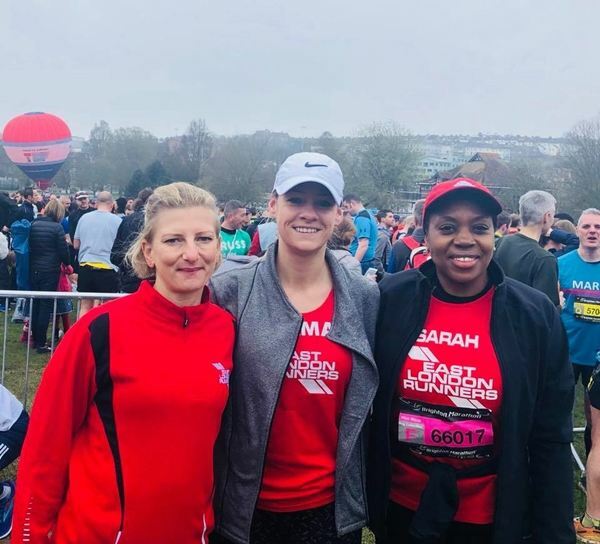 All three have been members of the Club for many, many years and have represented the Club in an outstanding manner at many races, events, training runs and socials. In addition, the meeting proposed that Club Chair, Frank Brownlie also be elected as a Life Member. Again, this motion was carried unanimously. 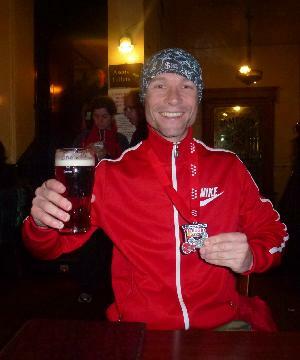 Frank joined the Club in 2004 to train for the London Marathon. He was elected to the Committee in 2009 and became Chairman the following year in 2010. 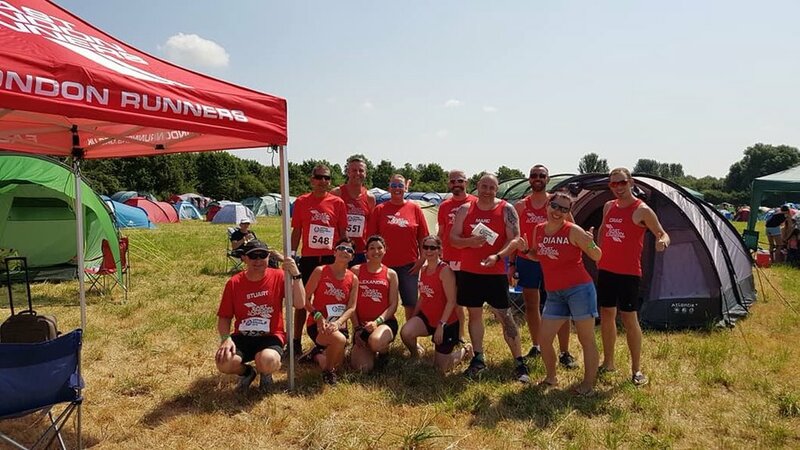 Frank has overseen the dramatic rise in both the membership numbers and the success of the Club in the many races and events that it participates in. Frank said "John and the two Dave's thoroughly deserve their recognition and I was very pleased to be included too!" Relay Section 3.33 miles per leg. Terry Lewsey reports - Ive never won anything in my life so to win the Sikhs in the city 22k half marathon today as 1st overall Male, Im over the moon with, Im not usually lost for words but it came as such a shock I dont quite know what to say, it was quite worrying at the end of the race as I came in almost 6 mins ahead of the second place finisher so they had to verify my result which they did, my final time was 1:45:45 and I now have my first race trophy, Im so pleased and proud to be able to bring home my first win for East London Runners. 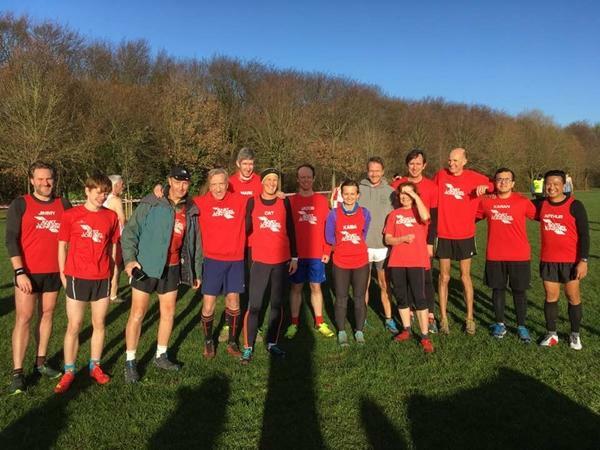 Mike Reports:-A bright sunny morning for the third Cross Country Race of the series, at Fairlands Valley Park in Stevenage. A change of venue (from Willian) at the last moment and hosted by Fairland Valley Spartans. This was a three lap course of 4.9 miles around soft but not very muddy grass fields. There were a couple of short inclines, but nothing too challenging! First back for ELR was the return of Antonio Martin Romero.... in 11th position, suffering he said from the results of previous days seasonal festivities! He was followed by Rhys Edwards, (Susan's son) making his Cross Country debut for the club. He had an outstanding run, finishing in a very impressive 47th position. For the ladies, the steady Kasia Stachowiak was first for ELR in 329th overall. Susan Edwards making her return for the club after many years, was in 403rd, followed shortly after by Catriona Hoult in 412th. A special mention for Kirk Johnson, who was persuaded to make his Cross Country come back for the club after quite a few years, finishing without further mishap. He did however suffer nasty scratches to his leg, resulting from the brambles in the bush before the race - ask no more! Thanks to Fairlands Valley Spartans for putting the race and all the marshals giving out encouragement and especially to everyone from ELR that ran this morning. 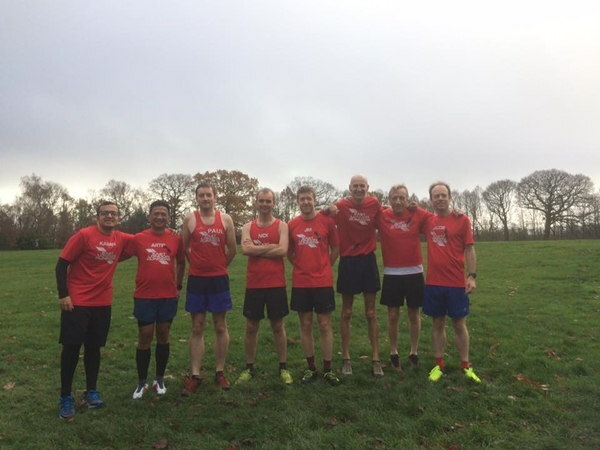 Please join us for the next fixture, which will be on Sunday 13th January 2019 at Cassiobury Park, Watford. Team results: after 3 events. Men's team 12th of 20, vets 15th of 20. Overall 12th and vets 15th. Ladies team 16th of 20, vets 15th of 20. Overall 17th and vets 16th. Around 120 Members and Guests attended the "Party" during which the Annual Awards were presented, as below. Sonia Cheadle and her Social "Team" had made great preparations ensuring that events proceeded smoothly on the night. NEW for this year, thanks to the benevolence of Club Member Terry Lewsey, was a fantastic staging and lighting system/set. Terry and his team had arrived at lunchtime and worked tirelessly until just before 7pm in setting everything up and again when the party finished, after midnight, they took it all down and packed it all away in their vans ready for paid work the next day! Many thanks to Terry for all of the hard work from the team and for his generosity. Ciaran and Lance supplied the sound system and Sonia put all of the music together. Many thanks to them too! Food in the form of chicken and/or vegetarian curry with rice and noodles was served at 8pm and later in the evening seasonal "cakes" were eaten having been made for us by our Master Baker Jo Wood. The Awards Ceremony hosted by Chair Frank Brownlie and Vice Chair Jonathan Wooldridge started at 9pm with Frank welcoming all members present and any plus ones. Our invited Club Guests Katherine Creighton-Crook, Justin and Kush from Leyton Sports Massage, Main Sponsors of our Valentines Park 5k Charity Race each September. He then welcomed James Quinlan, Volunteers Manager and Lucy Ferguson from London Marathon Events Ltd. Our relationship with LME incudes the London Marathon, The Big Half and the Pru Ride London Weekend. Frank thanked the Committee for all of their hard work during the year and those present were called up and given a new ELR Mug! Similarly with the Life and Honorary Members present. 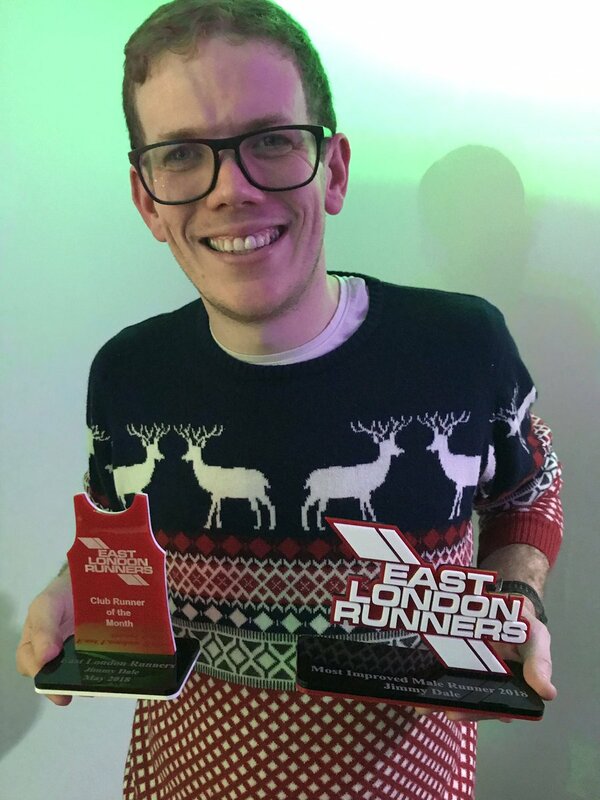 The Club Runners of the Month were also presented with their bespoke trophies prior to Coach Grant Conway announcing that the winner of the Track Star of 2018 was Lance Fuller. Lance was unable to attend on the evening so his prize was collected by Ciaran. 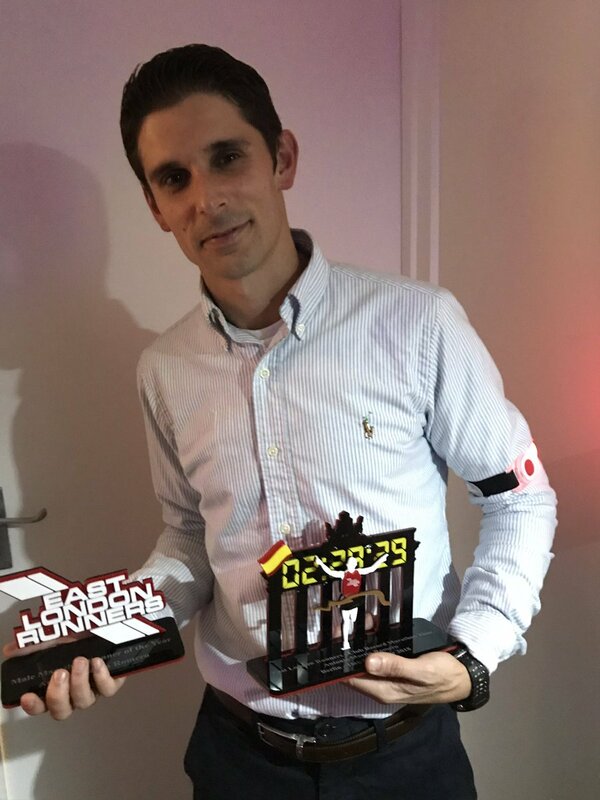 Frank then introduced and awarded a Special bespoke Trophy to Antonio Martin Romero for his achievement in setiing a new CLUB Marathon Record time of 2:29:29 in Berlin in September 2018. Frank also announced that following the voting by the Club Membership a clear winner of the Roger Dixon Shield had emerged. 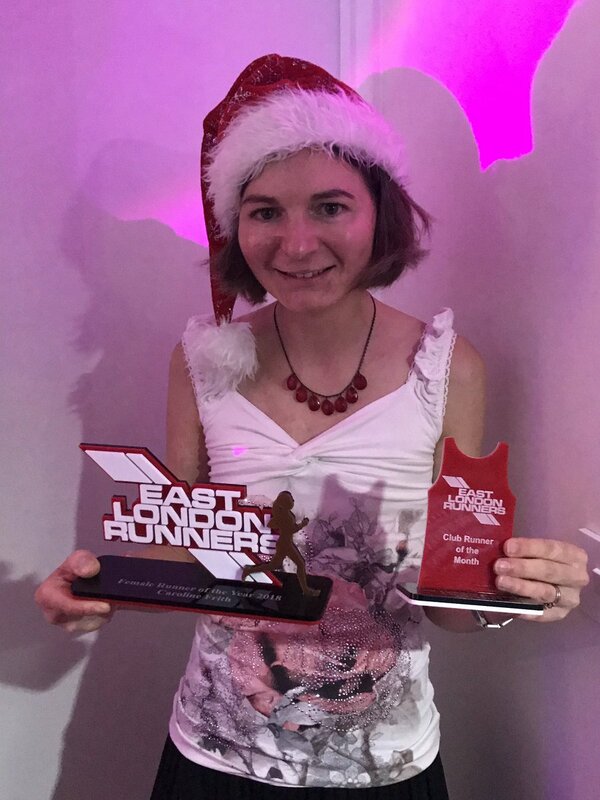 Jo Wood joined East London Runners four years ago and joined our Committee in Spring 2018. 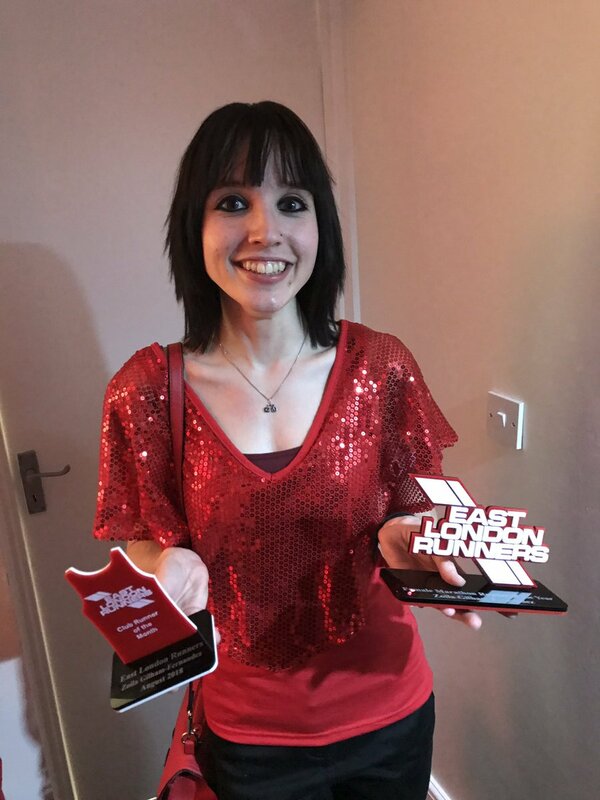 Jo has had a very busy year for ELR both in setting up and overseeing the "new" Wednesday Night Club Run format and she has established and managed the Improvers Group on Wednesday nights. 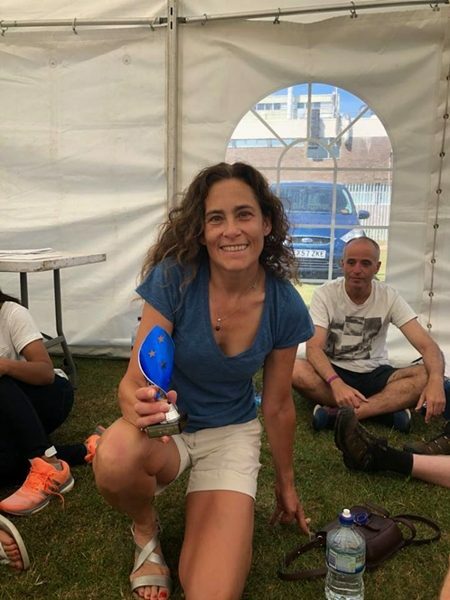 Joint Club Runner of the Month - April 2018 an award that had the following citation - Jo completed the Brighton Marathon on 15th April in a time of 5.28.29, despite suffering a cracked rib and illness in the weeks leading up to race day. Jo achieved a PB which was 49 minutes faster than her previous marathon; Sikhs in the City - Dawn to Dusk. 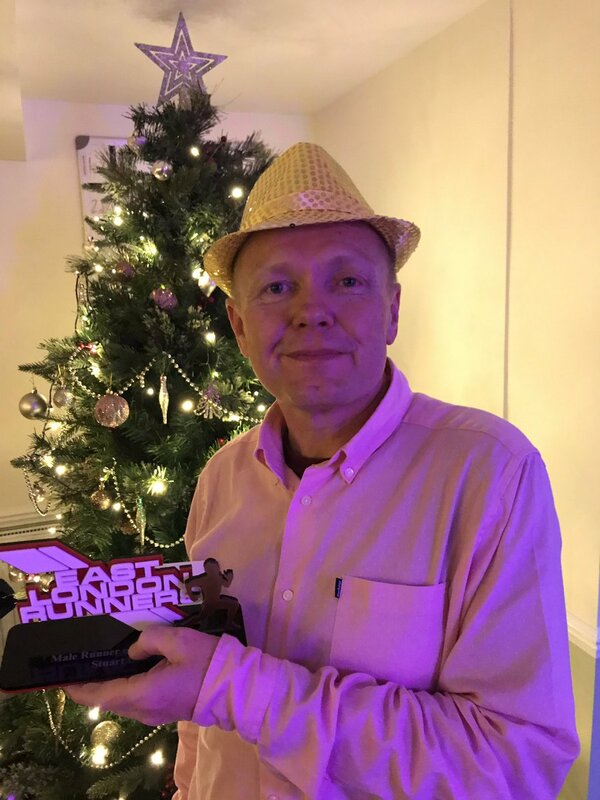 Jonathan Wooldridge introduced the Shorlists of Nominees in the six Club Running Award Categories and announced the winner in each one giving a short biography of their running year 2018. 171 ladies, 274 men = total 445 runners. A great morning of Cross Country running once again. 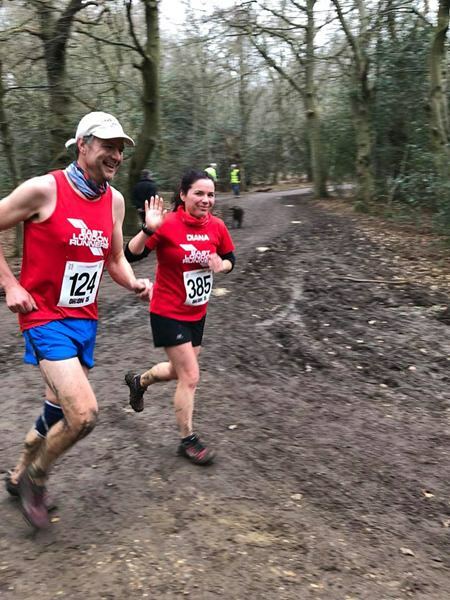 The conditions were mild but windy, on a different course to last week's Chingford League Race with more mud due to the rain in the last few days. 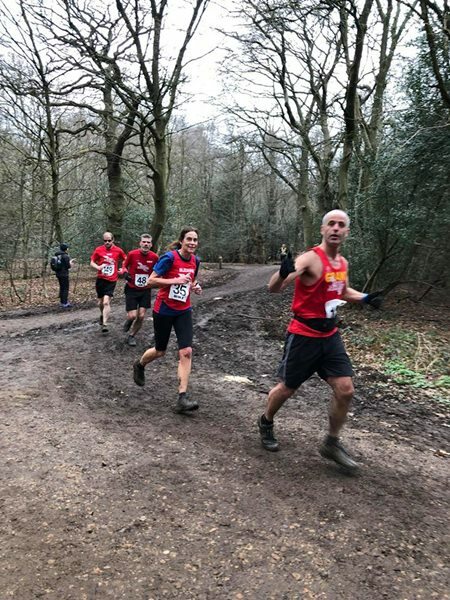 An excellent two lap course venturing into the leafy woods of Trent Park, with a 'heartbreak' hill leading to the finish. We did well in fielding two full men's and women's teams - the ELR positions are in the photos below. 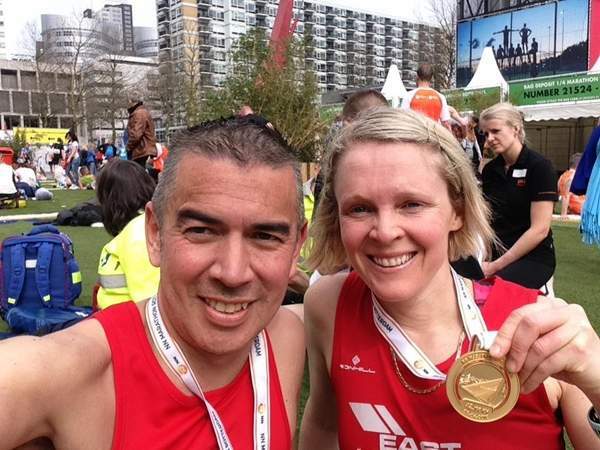 James Nichols was first ELR man in 86th and Maud Hodson first woman in 241st overall. (Full results to follow). Jo Neville and Jalila Abassi had good Cross Country debuts for the club. It was great also to see Dave Knight make a return for the men's team. Thanks to everyone that ran today and Nick, Maud and Jacob who gave lifts from Wanstead Leisure Centre. There was outstanding organisation and marshalling from the host club, Trent Park RC. The next fixture is at Fairlands Valley Park in Stevenage on 16th December. Hope to see you there. and Kasia Stachowiak making their XC debuts. for the Sunday Herts League. Thanks to Ramesh for driving me home. Our Ladies Team on the day! Jimmy's 9th Marathon in 2018! 80 Elr's from 274 finishers. Ladies team - 1st Jenny, Paula and Ellie. Mens team - 1st - Euan, Paul Quinton and Patrick Brown. 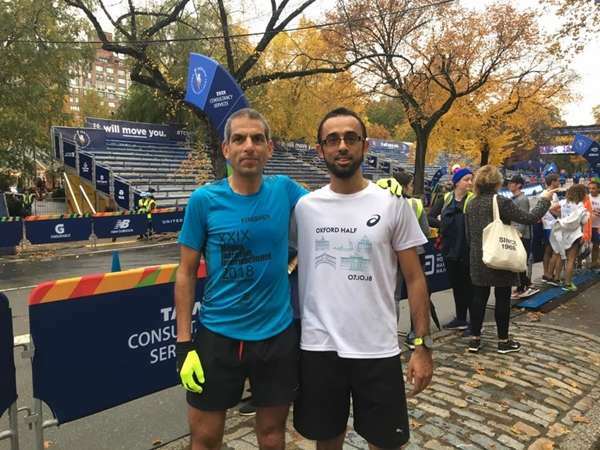 In what has been a great year for our Club and our members, a battle has been raging between our fastest distance runners for the title of Club Marathon Record Holder. Congratulations are due to both runners. 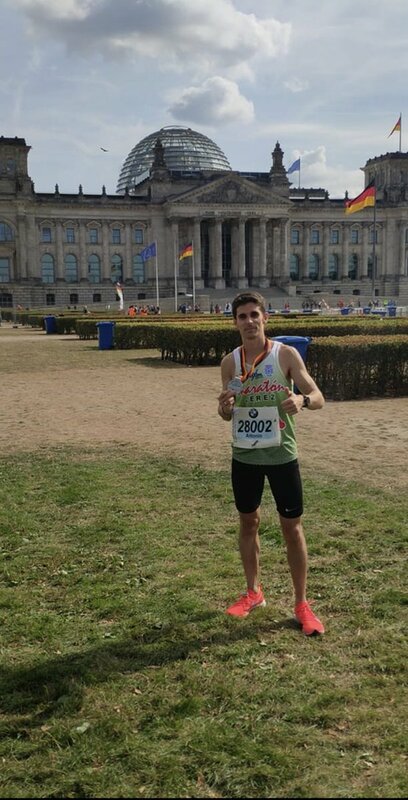 Antonio for his Herculean effort in Berlin a few weeks ago holds the record but I am sure that Thomas and hopefully others in the Club will be challenging his record in 2019 and over the ensuing years. Both athletes are great Ambassadors for our Club and while they train prodigiously they also take time out to have a Social life as well. I am still digesting my yesterday's race. After 12 weeks of hard training, the big day arrived. I did a 20-minute warm-up before heading to the start. The idea was to go out at 3:39/km (5:52 per mile) and try to keep that pace as much as I can to achieve a sub 2h35'. The race started and the first two kilometres were at the target pace, which were the slowest ones in my race. 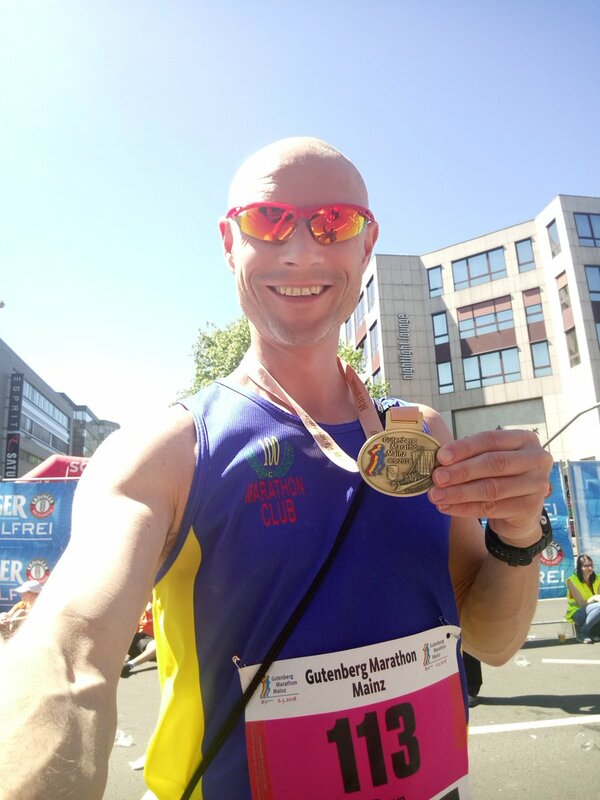 After 6 km I managed to find a group, but they slowed down a little bit and I moved to the next one, where I stayed until the 20th kilometre, I began to create a gap and ran on my own, I saw my wife just after the first half marathon, which I passed in 1h16'14"
When I finished the London Marathon earlier on this year. I didnt think I would run another marathon, maybe and only maybe I had been lucky enough to get into the London next year. However at the charity stand for the charity I was running for, my partner and I had met another couple from new york. The girl also had the same insulin pump as me (we are both type one diabetics). They convinced us to come and run Berlin with them when we met up a couple of days later Seeing as I also LOVED running London it didnt take much to convince me and meeting up with new friends was also another good excuse. Seeing as I had gotten into another marathon I thought joining a running club (ELR) would be a wise idea to get some more running done. Congratulations to Euan Brown, Mark Boulton and Paul Quinton in winning the Team Trophy in fantastic times. About 80 ELR Members attended the Club's Birthday Barbecue after the Club Run. The event was held at the Wanstead and Snaresbrook Cricket Clubhouse on Overton Drive, Wanstead a short distance from our ususl meeting Place/HQ at Wanstead Leisure Centre. Expertly organised by Social Secretary Sonia Cheadle she was helped by Jo Wood and Don Bennett. Also on the night Carlton, Michael B and Son plus a few other Members assisted greatly. Most of our runners at the finish in Harwich! Fish and Chips and beer! Saturday 1st September 2018 - Euan Brown runs 4th fastest parkrun in the UK this morning - 5k in 15 mins 35 secs! On a nice cool Bank Holday Monday morning 75 of ELR' finest emtered Barking Park nad completed ELVIS 7 the Barking 5k. In addition to having circa 25% of the total field of runners we also had many supporters and families and in addition we had eight runners in the Children's 2k race held immediately after the finish of the main race. Euan Brown was the overall winner of the race in a terrific time of 15:48 and the Men's Team were 2nd overall in the ELVIS Rankings. For the Ladies Zoila Gilham-Fernandez was 3rd Overall and the Ladies Team of Zoila, Caroline Frith and Emily Clarke won the Team prize for the race. With the addition of Katherine Harris our Ladies won in the ELVIS Team Category. Our Runners and Supporters prior to the race start! Catriona seems to be enjoying the race! 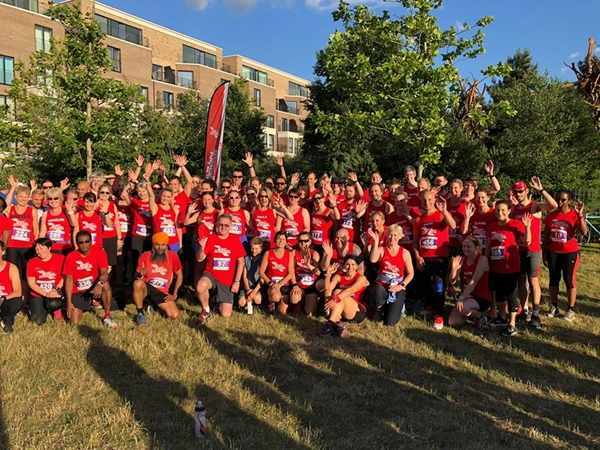 On another bright and warm summer evening 58 (from 270 finishers) East London runners ran in and completed this brand new ELVIS Race in Harold Wood Park. An undulating course over mixed terrain elicited a number of comments from our runners with most being favourable! The overall race winner was Mark Boulton and Paul Quinton made the podium again with a creditable third place. Calvin Bobin again took the prize for first Male Vet 60. For our Ladies Jennifer Ansell was again the first Lady home with Ava Lee in 3rd place. Both Ladies and Men's ELR Teams won the ELVIS TEAM race, the Ladies now have 5 wins from the 5 races and the Men 4 from 5. With only three races remaining we are looking to maintain these high standards. Mike and Kirk photographed at the recent ELVIS, Newman Hilly 5 race in Haiault Forest. Congratulations to Mike Wilson and Kirk Johnson in completing this 50k Ultra on the very hilly Redbridge Cuycle Circuit. Kirk Johnson, Former ELR Chairman and Life Member had increased his running and training mileage in the latter part of 2017 culminating in completing 26 laps, 52km in the SITC Dawn to Dusk race on Sunday 17th December 2017 in a time of 7.52.04. However in early January 2018 Kirk was knocked off his motorbike when in Central London ending up in St Mary's Hospital in Paddington with many broken bones and subsequently spent a number of weeks in hospital and had a shoulder operation. 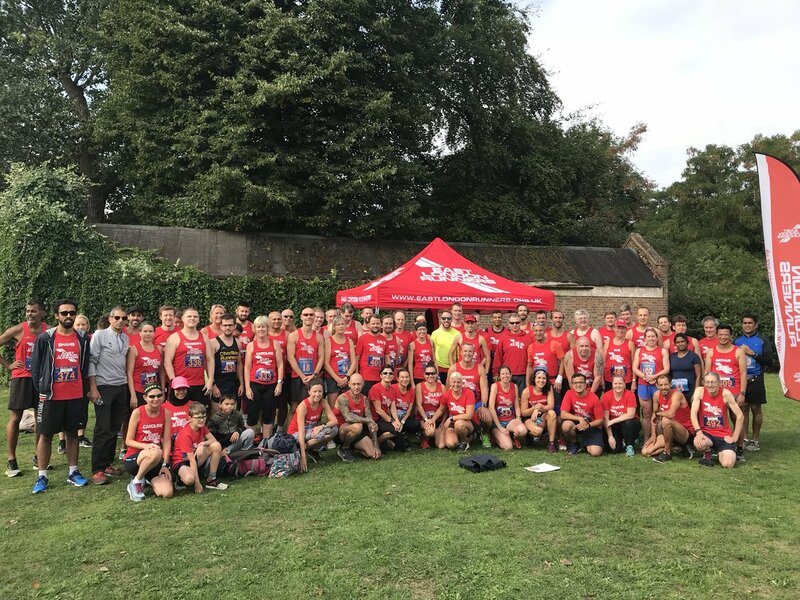 With a new start/finish area near the amin gate area including good toilet facilities a large number of runners (263 finishers with 63 from ELR)took part in the latest ELVIS Race in Hainault Forest. The weather was hot and still and the conditions underfoot were good if a little dusty in places. The race itself saw Tom Gardner from Ilford AC push ahead and keep to the front throughout followeded by Paul Quinton and Billy Rayner of ELR in 2nd and 3rd places overall. In the Ladies contest, Jennifer Ansell was first Lady home and was 14th Overall. Aval Lee finished 3rd. 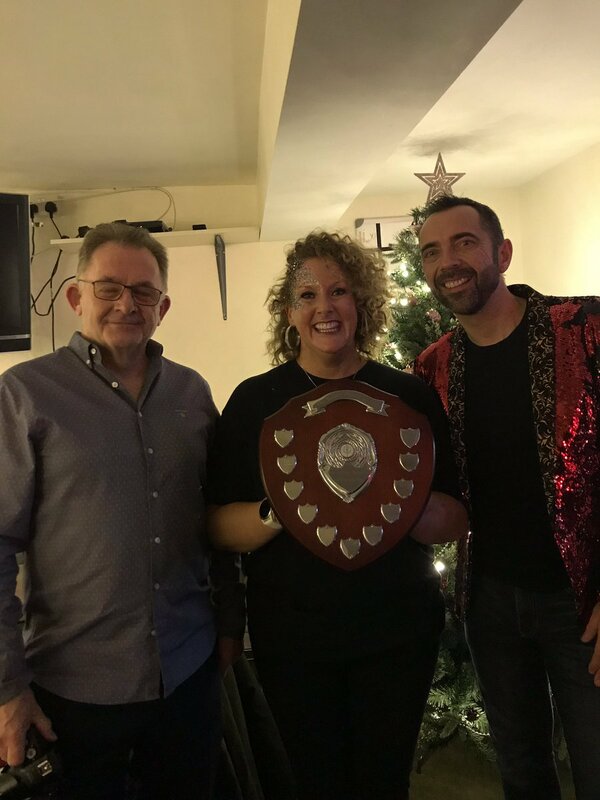 Together with Caroline Frith our Ladies won the Team Prize on the night and were also first in the ELVIS category for the 4th time out of 4 this 2018 Series. Jennifer, Caroline Frith and Ava Lee our successful Ladies Team receiving their prizes from the Ilford President. Peter Craik, Craig Livermore and Karan Gadhia with Gaz (and Jennifer) prior to the race start. All in all another successful night for ELR with Caroline Frith (1st FV 35) and Calvin Bobin (1st MV60) being our other prizewinners. Some but not all of our runners on the night! 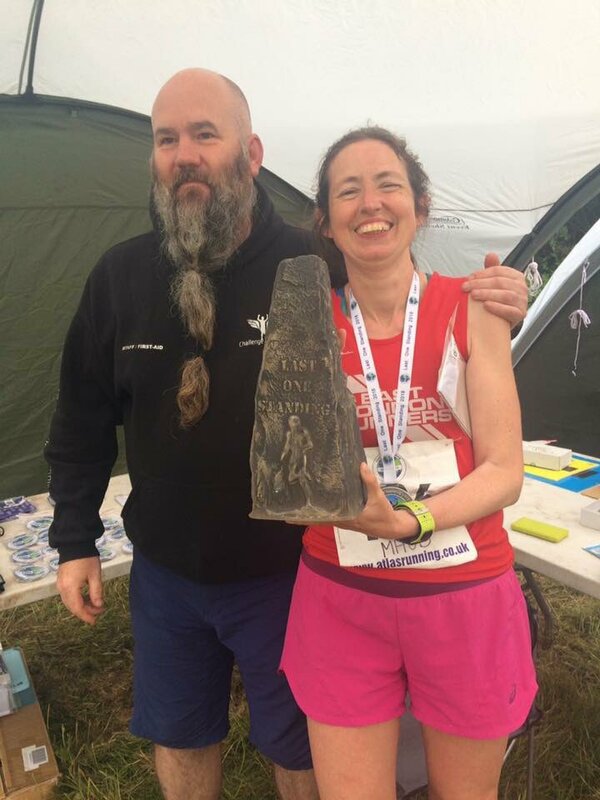 Congratulations to Maud Hodson in winning another ULTRA RACE. The weather was hot and sunny! Maud Tweeted - Ultra marathon wins are like buses - after my Last One Standing win, 1st at @ChallengeRunnin Essex 50. And this time I beat all the guys too! A fast flat 50 mile race covering 6 out and back loops along a flat disused old railway line which is now a country park called the Flitch Way. 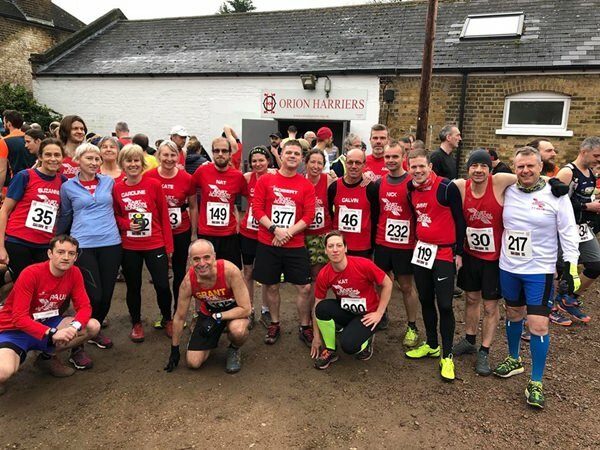 Starting in Felsted Essex its a perfect course for a 50 mile race (100 and 30 mile options), regular support every 4.3 miles and access to your drop bag every 8.6 miles and with no hills and an easy trail it will suit runners who want fast times and a first 30,50,100 under their belt. 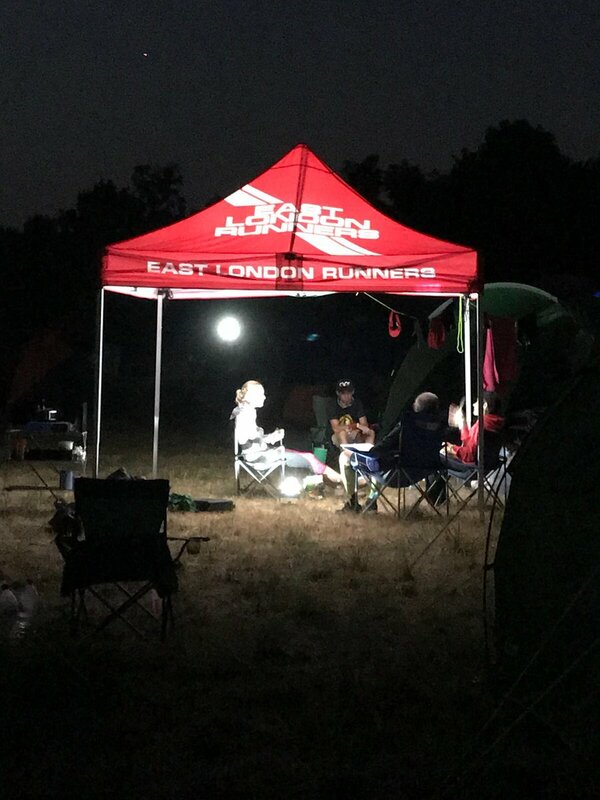 London's only 24-hour trail race. If you've run TR24 or Endure 24 or the like, think that, but probably with better 3G signal and a flyby from an actual Spitfire! Take a group of people and put them into test with intense heat, no showers, mosquitoes, lack of sleep and strenuous activity,if they are still supportive of each other, smile and laugh after 24 hours, do keep them in your life forever! Thank you to all the ELRs who ran this weekend and to Sandra and Susannah for coming to support us (you both were smelling very good! Craig said - " This was by far one of the most surreal experiences I've ever been through. One being up since 05:30 on Saturday, to 15:00 the next day has had some repercussions, let alone the conditions and the course. Searing heat combined with the pace I was going at led to me retiring after the fourth stint, near 7am. I really wanted to go on for a 5th, but couldn't muster the strength to do so. As it was I was in tears at the end, the only other run to have ever broken me down that much can be traced back to early 2016, but arguably that was worse. 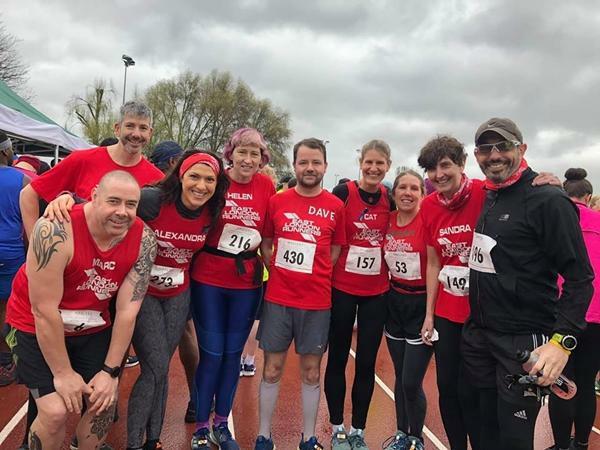 I couldn't be more proud of my team, when I couldn't muster any more strength Catriona, Katherine, and Anthony Leckerman of Barking Road Runners put in the extra. Everyone well done, and the same goes to the other two ELR teams. I'll come back again for another round next year, as I have unfinished business. But for now, more sleep is required." 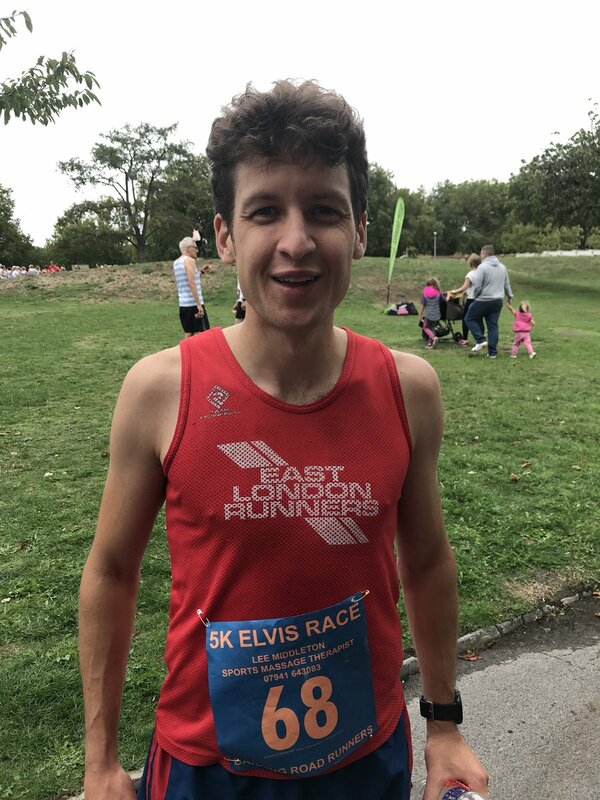 Well done to Sam Browne of East London Runners who was 1st in the Chse the Sun VeloPark Half Marathon this morning in a time of 1:20:10. 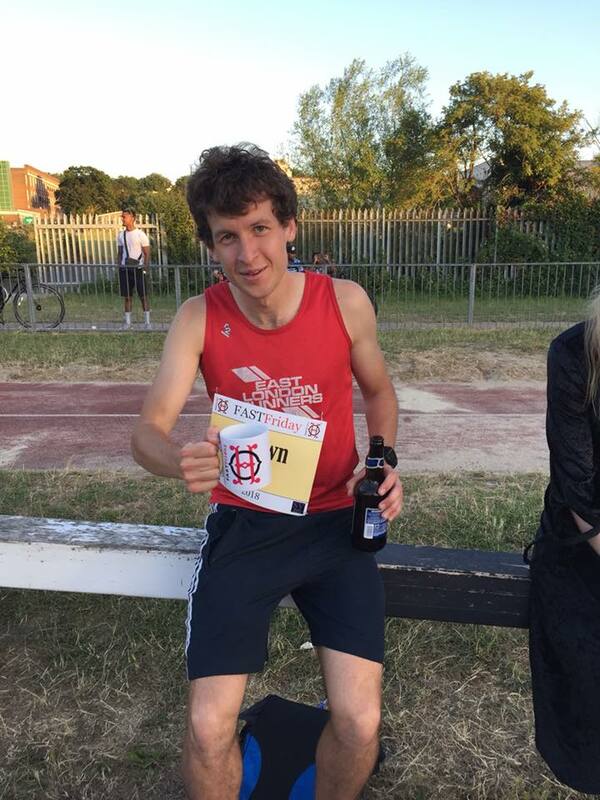 Congratulations to Euan Brown of East London Runners who was 3rd in Orion's Fast Friday 5k at Walthamstow Track last night in a time of 15:26! 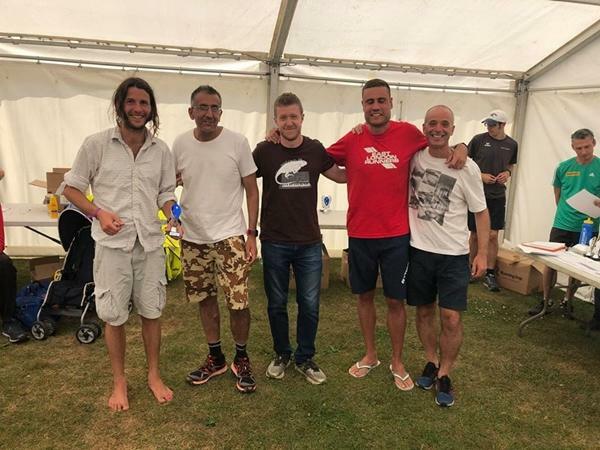 Colworth Marathon Challenge 2018, Overall Results. 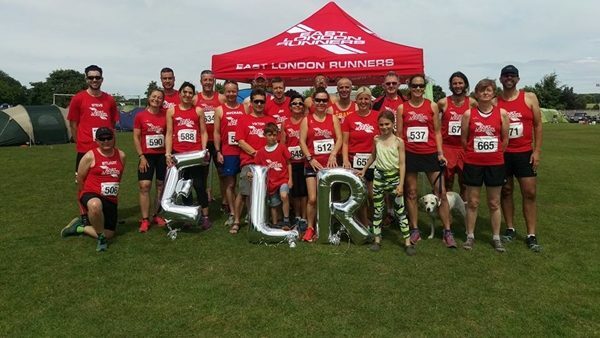 Paul & Caroline: Well done to all you wonderful ELR finishers at ELVIS 3 this evening hosted by EERR in the Olympic Park. Another great turnout by the club & you should all be very proud! Some excellent individual runs saw Jennifer Ansell win the ladies race with Euan 1st and Paul Quinton 3rd I the mens race. We also saw Calvin Bobin collect the Vet60 prize. Both the Ladies and Mens Teams were FIRST in the ELVIS TEAM overall for this race. 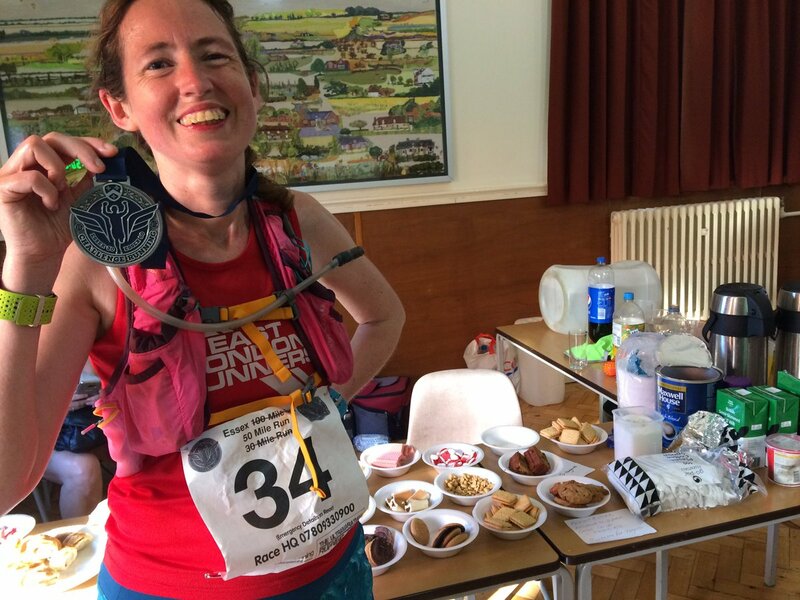 Weekend 9th and 10th June 2018 - Maud Hodson is the Last One Standing, completing 82 miles! Congratulations to Maud in being the Last Lady Standing! Its a simple concept - 4.1 mile lap, starting on the hour every hour. The winner is the one who completes the most laps. Maud said "I called it a day at the end of lap 20 - 82 miles and a triple marathon in the bag. My form was going and my motivation was crumbling..... I had won my first ever race (I don't count the Essex Titles where there was no-one else running). The trophy is so large that my shelf isn't going to cope. The first few laps were straight-forward, and there were very few drop-outs before we got to night-time, but Dave was really suffering with a dodgy knee after only about three laps. He took some painkillers and kept going, because ultra-runners are tough cookies. He got to a double marathon before packing it in. We put our head torches on for lap 10 (9pm), as the forest sections would be getting gloomy by then. Sunday 10th June 2018 - John Booth wins the Thames Chase 10k in 36:45. Congratulations To John winning his first Race in East London Runners colours! 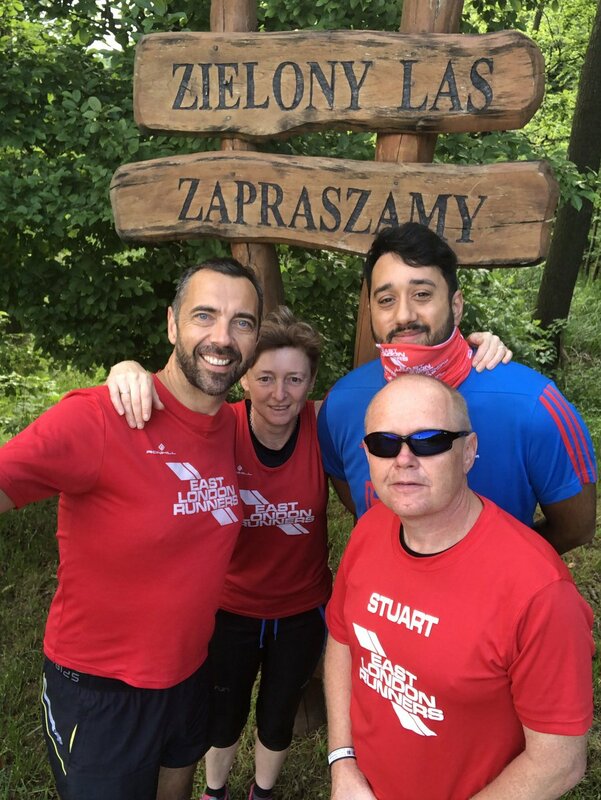 ELR travellers Stuart Barton, Fiona Critchley, Shaun DeSena and Jonathan Wooldridge have been travelling the globe to compete their parkrun alphabet challenge. Today this has been completed with a final trip to Zary in Poland. Furthermore the challenge has been taken to a whole new level by Fiona who has the ELR club record on each of the events in her alphabet. This is a fantastic and unique achievement. Travelling to eight countries, spanning three continents the globe trotters have gone to some extreme lengths of endurance, some might say of stupidity, to get to the events eg weekends away, holidays, honeymoon, and 18 hr road trips. Whilst parkrun tourism is becoming ever more popular, and with Andrew Howard conducting much of his tourism by bike, it wont be long before this pioneering group of four grows; but will he make it all the way to Zary on two wheels? 268 finishers with 79 East London Runners. Men's team - 1st Thomas, Mark & Billy. Ladies team - 1st Ava, Ellie & Caroline. Mary Nisbet - 3.30.17 - 1037th - 18th V35. We changed the direction to the west after 30K, just before mile 19. Finally, the wind had disappeared! I started pushing my pace and doing some miles at 5:51 pace, I checked my watch and thought, f*** a PB is very possible today. I wanted to catch another runner who was 200m in front of me, and that made me go faster as he increased his pace as well, people started to yell at me, top 10, top 10. All the miles after mile 19 were between 5:51-5:55 pace except the last one, that I relaxed a bit the pace in 6:02. I didn't know what time I was doing, with 200m to go, I could see the watch in the finish line, 2:35 something! I enjoyed those last 200m and finished with a time of 2:36:23. Definitely, 2:35 is not out of reach now. It is time to rest a little bit and focus on Berlin in September. As always, thank you very much to this club and all its runners to make me improve every year. Congratulations Thomas, from all of your fellow runners at ELR! 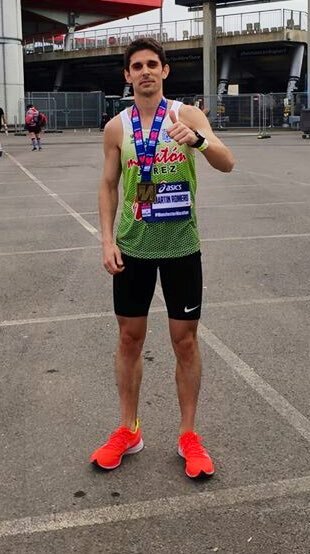 Dan Gritton - 2.59.31 - 25th - Dan's 117 Marathon! Eleanor Wilkinson - 3.26.16pb - 174th overall ,16th, Boston Qualifying time! 54139 Elizabeth Day - 5.24.43 debut? 46581 Sian Glover - 5.12.48 debut? 43480 Rosie Shrimplin - 5.49.49 debut? 43475 Ben Warry - 5.19.59 debut? Tom Woods - I think I will be shaking for the rest of my life , god that was the worst weather imaginable , it just never let up , not for a second! Paula Bedford - 3.47.15 - 1980th, pb/gfa by 12 mins. Joanna Neville - 4.17.29 - 4741st, pb by 12 mins. Andy Bolderstone - 4.23.47 - 5286th, pb by 9 mins. Joanna Wood - 5.28.29 - 9846th, pb by 49 mins. Geoff, Jason, Zuzana and Rachel proudly show off their medals! East London Runners winning team of Emily Clarke, Ellie Wilkinson and Antonio Martin-Romero being presented with the Team Cup! Results for all the ELR competitors can be found on the Results page of this Website. Many more Photos are in the Photos 2018 page! 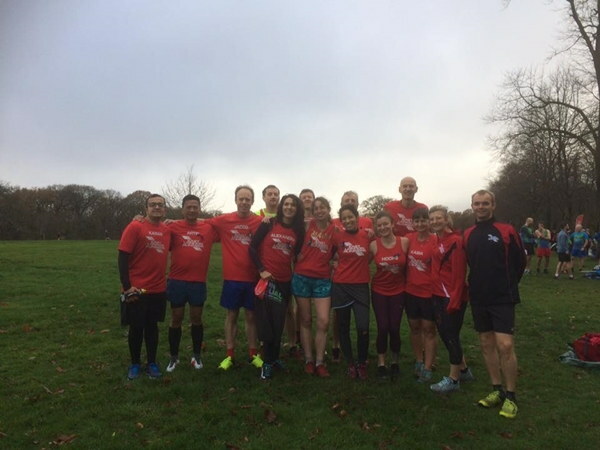 East London Runners supports the movement to bring about Gender Equality in Cross Country Running at all ages and levels. We also recognise and respect the rights of Individual Club Members to choose to run in cross country races that do not currently have gender equality. 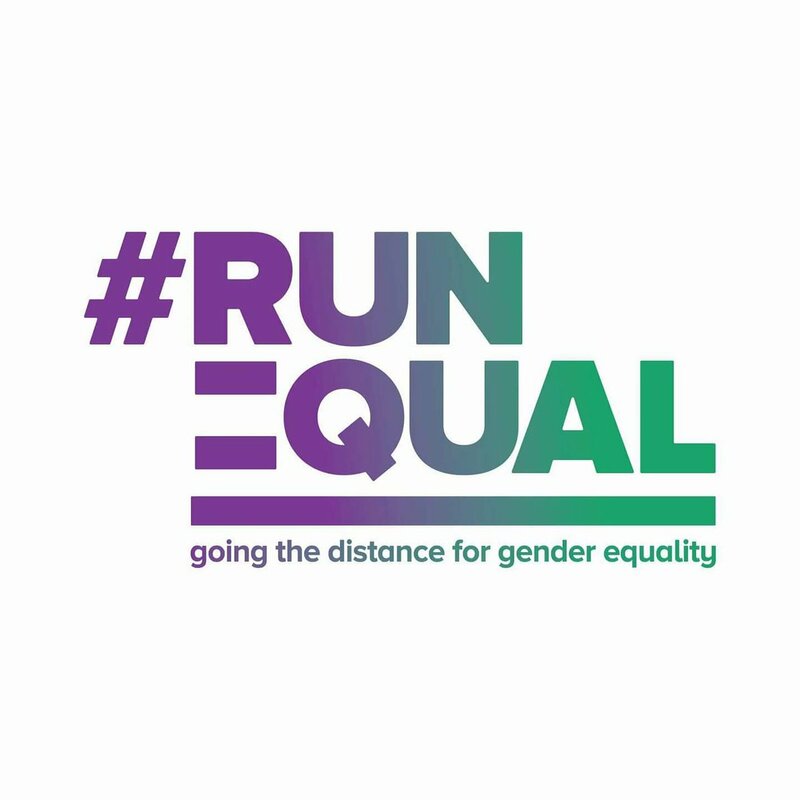 By Maud Hodson - The #runequal campaign was started in December 2017 to lobby for gender equality in cross-country running. While men and women race over the same distances on the roads and on the track, in cross-country the women's races are often much shorter than the men's. It is common for men to race 50% further, and in some events nearly twice as far. This both downgrades the women's event compared to the men's, and sends an insidious message to girls that they are not expected to challenge themselves so much. Sport should empower girls and women, not keep them in their places. We would encourage anyone who would like to see greater parity in XC running to sign and share the petition, tweet your support using the #runequal hashtag, and write to national, regional and local governing bodies and event promoters. Maud leads runners from Eton Maor AC, Woodford Green and Essex Ladies, Unaffiliated and East London Runners as part of the Sky News feature in Wanstead Park. 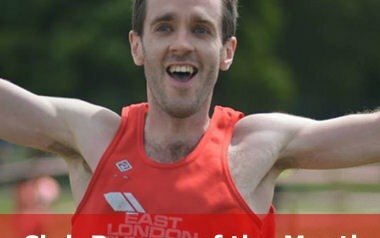 fastrunning.com - by Robbie Britton January 10, 2018 - Should male and female cross country races be the same distance? 100% behind you @maudhodson. Women & men can race the same distances in triathlon, so why should cross-country running be any different? And in this day and age that is silly. Tuesday - Marathon training runs (6/7 miles) at 7pm from Wanstead Leisure Centre - ad hoc - typically from January to April, check each week. 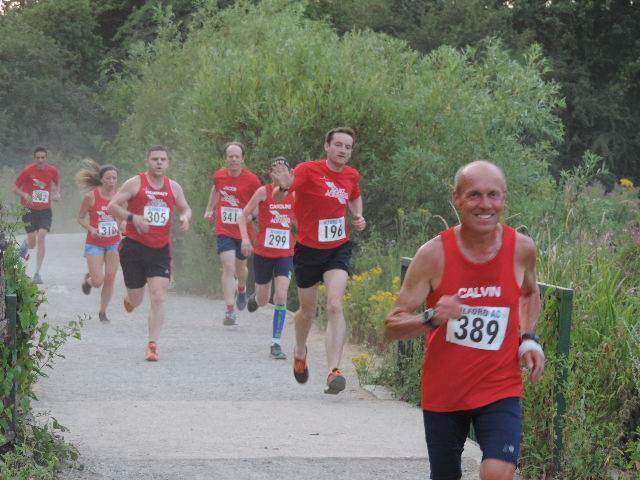 Wednesday - Club Night run from WLC at 7pm, typically 10k in distance with a 5 mile option. Suitable for those comfortable running 5 miles plus. 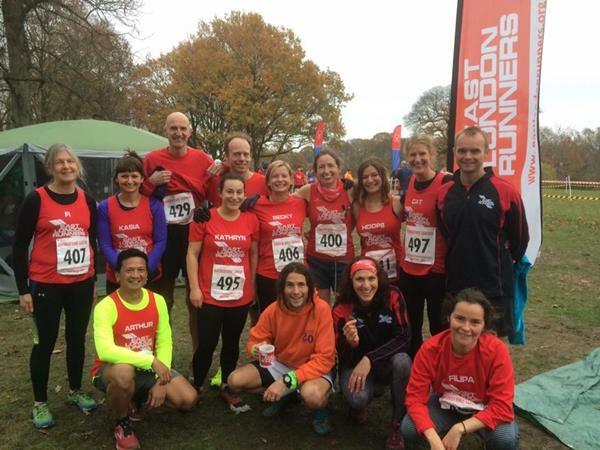 In addition we Race in the local Chingford League and also in the Sunday Cross Country League from October to March. Full details are on the relevant pages of this Website. Members can also compete in the County, Regional and National Cross Country Championship races during this period. Wednesday - Club Night run from WLC at 7pm, typically 10k in distance. Suitable for those comfortable running 5 miles plus. In addition we Race in the ELVIS Grand Prix Series from May to September. ELVIS is a 8 race series of 5k and 5 mile races. Full details on our ELVIS page. Note there is a separate entry fee payable individually for each of the ELVIS Races.